Due to its impressive speed, its practical range, and its unrivaled durability, the Boeing 727-200, a development of the earlier Boeing model, features increased fuselage length, takeoff weight, and baggage capacity. 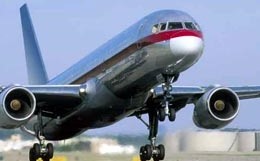 The 727-200 is one of the most successful and prolific jets ever built, and of the 1249 that have been produced, almost all are still in commercial service. The Boeing 727 was one of the most popular commercial aircraft of the 1960's through the 1980's. With a production run spanning more than 20 years, Boeing produced 1832 of this versatile aircraft. The Boeing 727 developed several different variants over the 20-year production period, and can now be commonly found as an executive VIP transport aircraft, passenger transport, and cargo aircraft. The Boeing 727 has several key features that made it distinct from other aircraft. One notable item was the air stairs located in the rear of the aircraft that was primarily used to plane and deplane passengers. This gave the 727 a distinct advantage over its competitors, as the aircraft essentially needed no ground support. 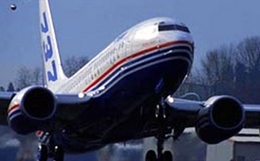 In tune with Boeing's desire to make a self-sufficient aircraft, the 727 was also the first aircraft to come equipped with an Auxiliary Power Unit (APU). The APU allows the aircraft to produce its own electrical power with the engines are turned off. 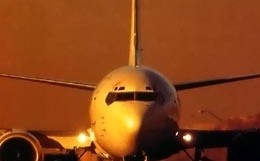 This meant that the aircraft doesn't need electrical support on the ground and can operate in to smaller airports that don't have airline support equipment. The 727-100 was designed to carry a maximum of 131 passengers in a 3 abreast 1 class seating capacity. The later variant, the 727-200 has a maximum seating capacity of 189 passengers in a single class all economy configuration. Onboard VIP configured 727's passenger will find seating capacities between 20 to 30 depending on the owners specifications. The lay out for VIP 727's include all first class seating, conference tables, and bed rooms in some aircraft. 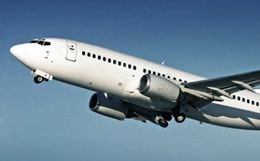 For more information about chartering, leasing or buying a Boeing 727-200 please contact us by calling +44-20-3874-8091 or send us an email here.